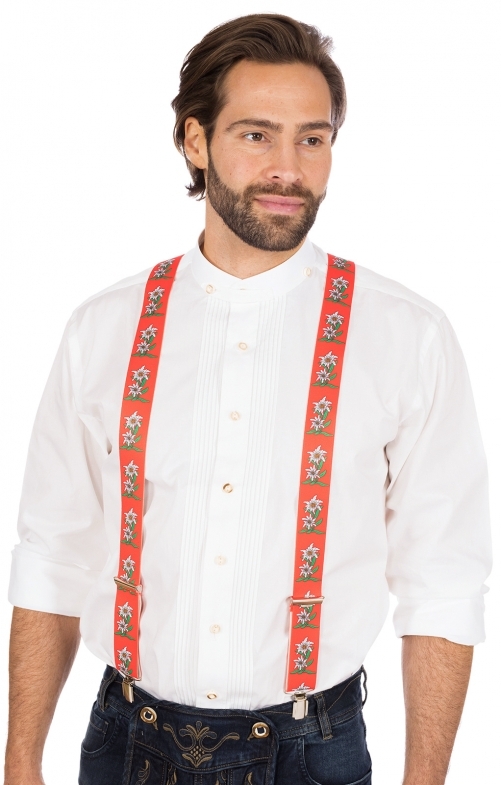 Traditional braces with Edelweiss motifs. Red colour. A true all-rounder from the home of shoe makers accessories. At the back, the braces are simple and double-clipped at the front. The braces are individually adjustable in length and can be worn in leather trousers as well as normal trousers. Stylish eye-catcher and practical for those who do not like wearing a belt.